Hungarian Plum Jam | Before controlling the River Tisza and the River Bodrog, on their floodplain there used to be orchards, where mainly plum trees were grown. Hungarian Plum Jam | Before controlling the River Tisza and the River Bodrog, on their floodplain there used to be orchards, where mainly plum trees were grown. People made plum jam from plum. In this region, plum jam is widely used to flavour pastries or pastas. Traditionally, plum jam was made in a red copper cauldron. Usually, a burrow was dug in the ground where the fire was placed and the red copper cauldron was usually pasted with mud above the fire. Before cooking it thick, we should get rid of the skin and the stone. Hungarian Quince Jelly | It began to spread and became a popular titbit during the Ottoman invasion. After slicing the fruit, we should cook it until it becomes pulpy and we mould it. Pumpkin | Baked in the oven, it is popular even today. Ewe’s milk cheese from Erdőbénye | Ewe’s milk cheese is one of the simplest types of cheese. It is often called cottage cheese rather than cheese. Once the curds are cooked, they will be ready to drain. To drain, the curds are put in a muslin and let their weigh compress themselves for two days. This type of cheese is not pressed later on, so this is how it gets its typical shape which resembles bread. At the end of this procedure, we get a softer cheese, which evokes the taste of whey. Ewe’s milk cheese can be kept for even two or three weeks. It goes well with 4 or 5 butts Tokaji Aszú. Volcanic rocks of vineyards | The formation of the Tokaji Mountain was the result of volcanic activity during the Tertiary era about 12 million years ago. At the beginning, during volcanic eruption, first rhyolite tuff and rhyolite lava, later andesite tuff and volcanic ash came out to the surface. As we can see, vineyards are formed by different kinds of volcanic soils: andesite, rhyolite and their tuffs. A perfect example of this diversity of the soil is Mád, a town which is very rich in mineral resources, 19 different kinds of minerals were found there and even an industry is built on minerals. There is a special type of soil in Hegyalja, which is the weathering by-product of different volcanic rocks and the mixture of humus and loess. This type of soil is very tiring to cultivate. However, growing vine on this type of volcanic soil which is rich in minerals results in a full bodied wine with high acid spine containing lots of trace element. The roots of the vine reach deep down in this soil, even six metres. In the valley, there is a thick loess layer on the volcanic soil. 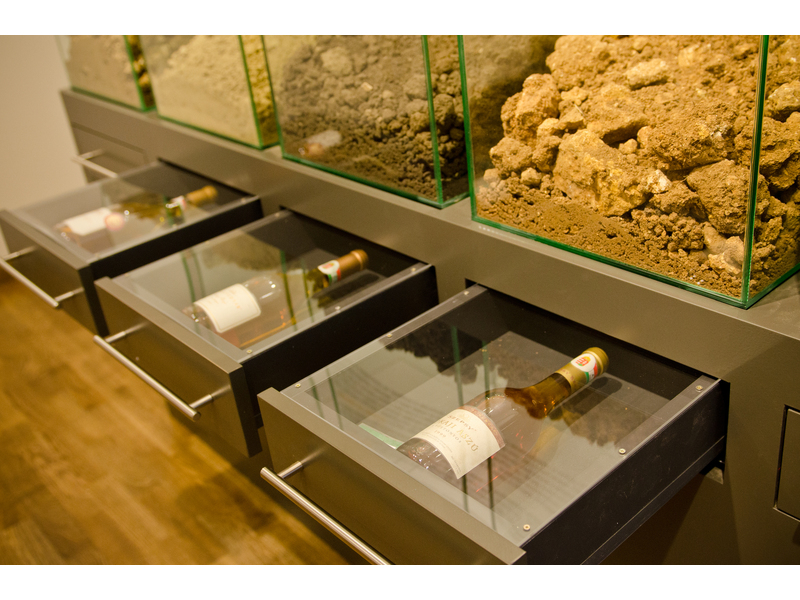 On those parts (e.g Kopasz Hill) where there is rather loess soil, softer wines can be produced because of the lower acid content. These slopes are more suitable for producing aromatic types. 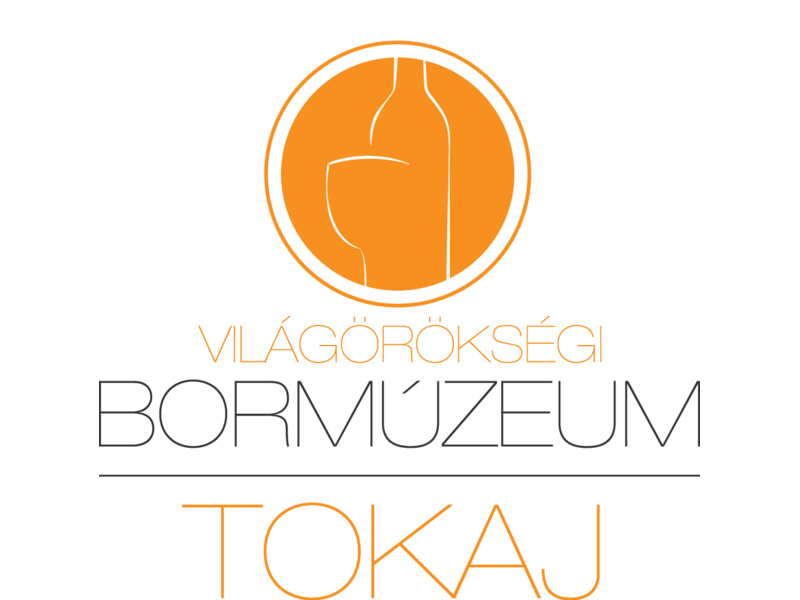 “Sank” pits | As everywhere else in the world, people in Tokaj-Hegyalja usually appreciated highly their land and tried to do their best to take care of it. They planned and maintained the drainage, in order to protect the soil from the pouring rain. They dug settling pits in the trenches. These pits were called “sank” pits or “liktor” pits. In these pits, they collected the eroded soil, and then they carried it back in butts to the vineyards. They used this soil mixed with grass and whitewash for fertilization. Stone heaps and wine terraces | During the cultivation of vineyard, vine-growers put the stones from the ground to the borders of the vineyards. These stones created smaller or bigger stone heaps which were even 10 metres tall in some cases. Just imagine, it needed more stones than a house built of stones. Strip cultivation demands experts of stonework. This work was not even done by locals for a long time, it was rather done by German workers coming from the town of Medzen who refer to themselves as “Mantaks”. On the one hand, the building and maintenance of these stonewalls were quite expensive, on the other hand, they contributed to the ripening of the grapes by decreasing soil erosion and helping to reflect sunshine on the steep slopes. Stone cellars | The interesting thing about the cellar-system carved in stone is that the walls are covered by noble rot (Botrytis fungus), Cladosporiumcellare which can only be found in Tokaj-Hegyalja and wine cellars along the River Rhine. This type of fungus has a really important role in wine producing guarantying the quality of the wine. It makes the Aszú wine’s characteristic flavour, aroma, dark gold colour, high (14%) content of alcohol and taste which resembles the freshly baked bread.